Full or partials SEPA Bank Transfer No Info refunds are made by using Initiate Refund button from Payments tab. 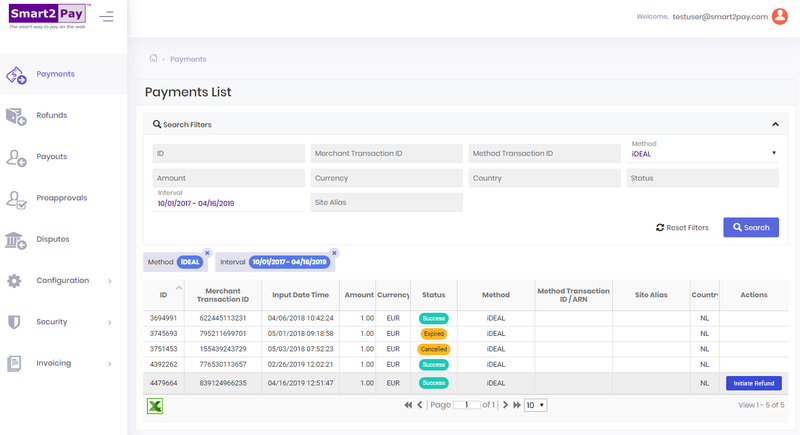 The Initiate Refund button is displayed only for transactions with status Success. A pop-up window with the transaction details will be displayed. The Refund Merchant Transaction ID is automatically generated. You can change this ID by introducing your ID value. 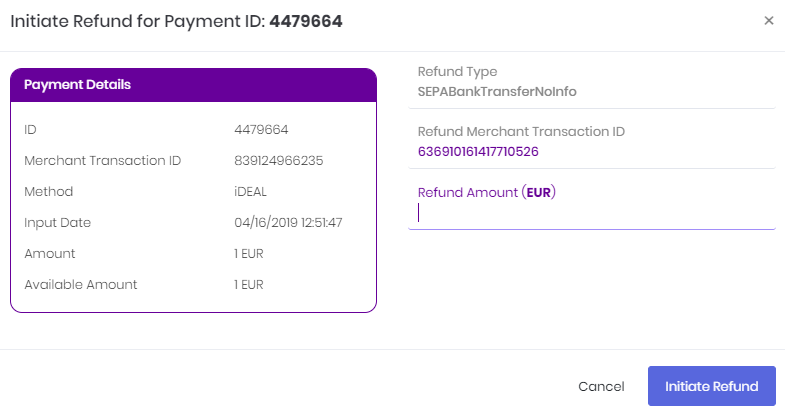 In order to process the SEPA Bank Transfer No Info refunds, we will use the customer/customer bank account details stored in our system (this is the reason why no additional details/info is required). If you want to perform a full refund you will have to fill Refund Amount with the same amount as Payment Amount. In the case you want to perform a partial refund you have to fill the Refund Amount with a smaller amount than the Payment Amount. You can perform more than one refund for a transaction with the limitation that the sum of partial refunds to be smaller or equal than the initial paid amount. You can see the complete list of all of your refunds in the Refunds tab.